Are You Beating Your Manufacturing Production Deadlines? Product / Are You Beating Your Manufacturing Production Deadlines? Summary: Automated workflows are key to hitting manufacturing production deadlines. They facilitate communication, collaboration, and faster, less risky product launches. Whether it’s your boss assigning a task or a client assigning a project, we all have deadlines to hit. So how can a business make it easier to beat manufacturing production deadlines without risking quality or consistency? That’s the exact question we asked in a recent webinar. Here’s a rundown of what we talked about. Product development matters. A lot. New product development is incredibly important for companies today. According to Forrester, 50% of revenue for retailers and brands are a result of new product launches, and even announcing a delay can cause your stock price to fall 12%. 50% of revenue for retailers and brands are a result of new product launches. But at the same time, the engineering teams who are responsible for product development are spending about a quarter of their time doing admin and data management work — time that could be spent developing new products. So if complex manufacturing environments are the problem, what’s the solution? How can organizations combat these problems and bring new products to market, fast? Here’s are the 4 most significant threads that came out in our manufacturing production deadlines webinar. Our project folder, on the other hand, gives you all that information within 1 click of logging into the platform. 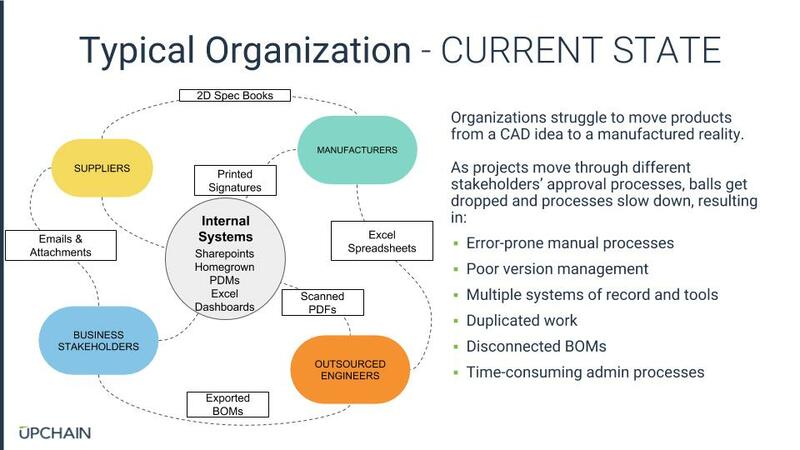 The next major thread was that organizations often don’t integrate workflows and task assignment systems within their PLM. It means that time gets wasted because it’s not clear who’s working on what. Plus, the project management tool (say, SharePoint) isn’t closely integrated with the software actually tracking the files (PLM) or where the changes actually happen (CAD programs). In contrast, our sales engineer Imran Bhutta reviewed our own task assignment process. Add the assignment to a predefined workflow. Shifting programs is a form of multi-tasking, which tanks productivity. For example, it takes 25 minutes to refocus after you’ve been interrupted on a task. Our goal is to eliminate the end user from jumping between multiple systems. That’s why you want teams to stay in the programs where they actually do their work. For instance, project managers live and work in email. That’s why our solution fully integrates with Outlook. We let users do micro-tasks like send attachments and approve/reject changes without leaving their email interface. It takes 25 minutes on average to refocus post-interruption. Alternatively, engineers work in CAD programs like SolidWorks. Check back in completed and changed assemblies. So far, we’ve chatted a lot about project managers and engineers. The challenge that surfaced in our webinar was that stakeholders beyond PMs and engineers needed insight into projects to participate in the workflow. We can connect those different stakeholders by pushing and pulling data to both include other users (e.g. sales, procurement) and other systems (e.g. an ERP). And as you move up the food chain, the desire for insight intensifies. 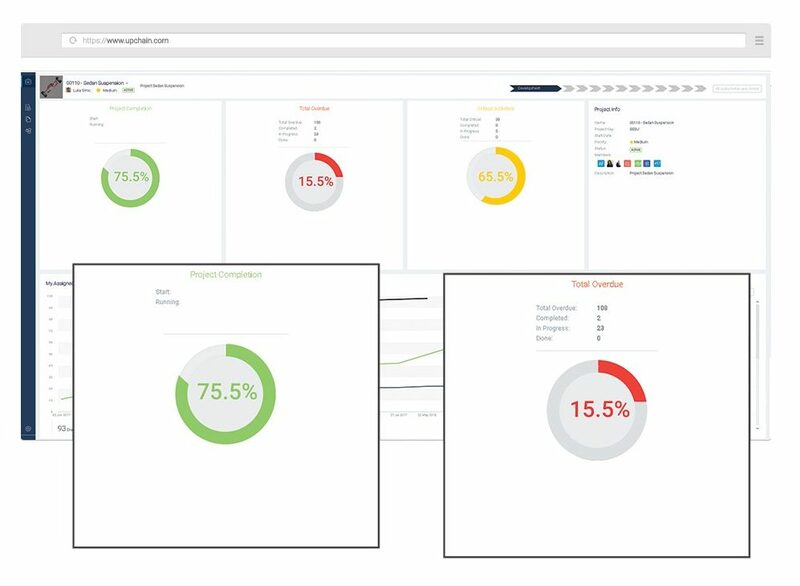 Project dashboards, document libraries, and task overviews provide high-level overviews of project status and any bottlenecks before you miss a manufacturing production deadline. Missed manufacturing production deadlines are rarely caused by incompetence. More often, they’re teams who are reworking designs and bouncing between programs to deliver work. Automated workflows reduce manual efforts and streamline production cycles to keeping engineers and designers focused on innovating and empower teams to meet and beat aggressive manufacturing production deadlines. Got questions? You’re not alone. Download our webinar for the full Q&A!